On Sept. 14, Hurricane Florence made landfall near Kure Beach and prompted a mandatory evacuation for residents, yet the town was fortunate to receive minimal damage with Snow’s Cut Bridge re-opening shortly after. A sign of normalcy and hope returned as the iconic Kure Beach Pier re-opened with many posting on its dedicated Facebook page that they were excited to visit. The North Carolina Aquarium at Fort Fisher also opened to the public shortly after the storm passed and all of the animals and fish made it through safely. The highly anticipated Trick or Treat Under the Sea will still take place Oct. 25-27. Now, most island attractions including Fort Fisher State Historic Site are back open and operating under normal conditions. With the re-opening of important landmarks and attractions, life is getting back to normal on our little slice of paradise. Now is a great time to plan a fall getaway with activities and events scheduled throughout October and November. Please be sure to contact accommodations and attractions directly if you have questions regarding availability. On Oct. 13, the Fort Fisher Fall Festival celebrates all things autumn with Halloween-themed games, arts and crafts, a bounce house, food, drinks and more. Think you have what it takes to reel in a winning catch? Try your hand at an attempt to win $20,000 in cash and prizes at Pleasure Island Surf Fishing Challenge Oct. 19-21. It’s not always fishing or festivals, come Halloween things get extra spooky along Fort Fisher’s Basin Trail, which transforms into the guided Fear at Fort Fisher Haunted Trail Tour on Oct 26. The beloved Cape Fear Kite Festival will take to the sky Nov. 3-4 at Fort Fisher State Recreation Area while Island of Lights: Lighting at the Lake on Nov. 23 is a great reason to spend Thanksgiving weekend at the beach with the entire family. 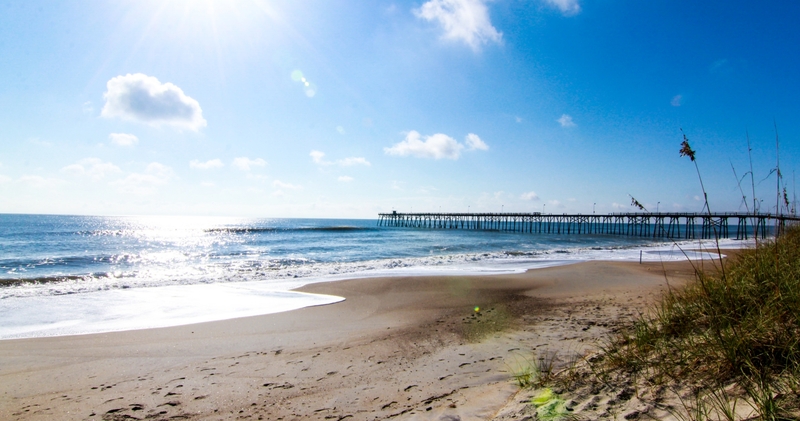 While Kure Beach certainly felt the effects of Florence, community and a speedy recovery helped bounce our quaint little beach town back in no time. 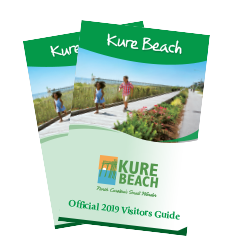 While planning a visit to Kure Beach is a great way to help the local economy, many residents are still rebuilding their lives following Hurricane Florence. Read about more ways to help those still in need and recovery here.